Another Pastoral Letter on the General Election – this time from the Catholic Bishops’ Conference of Scotland to their 841,000 worshippers spread across 452 parishes (which is an awful lot of ‘believing without belonging‘). Unlike the long-winded and vacuous Pastoral Letter issued by the House of Bishops of the Church of England, this one is as pithy and trenchant as that issued by their co-religionist bishops in England and Wales. Or perhaps it is even more pungent, because it appears to be a direct assault on Jim Murphy, leader of the Scottish Labour Party, if not a bold decree of direct endorsement of the SNP. ..For centuries Christian values underpinned our laws and customs but for Christians today the political complexion of Parliament is secondary to the values and beliefs of those who sit in it. The candidates we send to Parliament go there as our representatives. The values they hold will shape their understanding of what is good for our country. ..In this country, an intolerant form of secularism wants to remove religion from the public square, despite recognition in the Universal Declaration of Human Rights. True human dignity involves the freedom to assemble, to worship and to manifest our beliefs openly. Religious liberty must be non-negotiable in a free society and we should make sure our candidates support it. ..Our politicians enter public service with good hearts and give of their best to build up our lives and our country. Sadly, however, on serious issues, some politicians who profess a Catholic faith remain silent – or even surrender – in the face of grave ethical injustice. The time has come for a new generation of Catholics to join political parties and to dedicate ourselves to political service in a way that remains faithful to the Gospel of Jesus Christ, laying the foundations for a new Civilization of Love that serves the common good of all, especially the most vulnerable in our society. ..Successive UK Governments have made plans to replace and upgrade our nuclear weapons capacity. This is despite the considerable costs involved and in the face of persistent moral objections, to say nothing of international agreements we have entered into which commit us to work against the proliferation of such weapons. While recognising each country’s right to defend itself, the existence of nuclear weapons,and their possible proliferation, continue to represent a grave threat to the human family. Pope Francis reminds us that peace is better fostered by greater equality – not least by fairness towards the poor, refugees and migrants – rather than by increased spending on arms. It is curious, in a General Election campaign which is about a myriad of nuanced matters, for the Bishops to single out Trident as a very specific policy which must be addressed. There is only one party which is calling for the abolition of Britain’s nuclear deterrent, and that is the SNP. Why is the Catholic Bishops’ Conference of Scotland exhorting the faithful to support the Nationalists? Why do they persist in pouring out such effusive praise on those who agitate to bring an end the United Kingdom? And what (incidentally?) is the voting record of Alex Salmond and Nicola Sturgeon on those very issues of the moral conscience by which the Bishops judge their co-religionist politicians “who profess a Catholic faith (but) remain silent – or even surrender”? Do they really think those who seek to abolish Trident will be better guardians of the baby in the womb, the heterodox union of the family or the dignity of the disabled, sick and elderly? The Bishops aren’t still agitating for Scottish independence, are they? 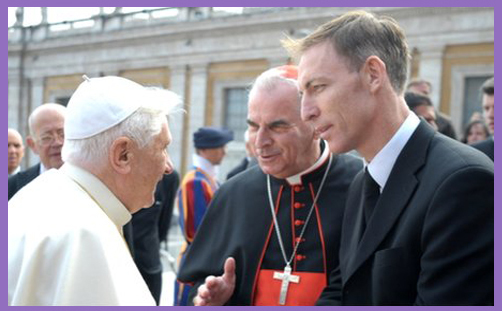 Why are they bullying Labour’s poor Jim Murphy, as though he weren’t being harassed enough by the secularising statist Nats? And (dare one ask?) what about those Church leaders (not to mention one or two known bishops) who profess the Christian Faith but remain silent – or even surrender – in the face of grave moral error? Shouldn’t judgment begin at the house of God?